← Pre Registration is LIVE!!! Children 12/13, 14-16: that wish to challenge themselves against the best in Alberta have a special division. The Elite Kids Division. We hope this will separate those kids with more tournament experience from those starting out. 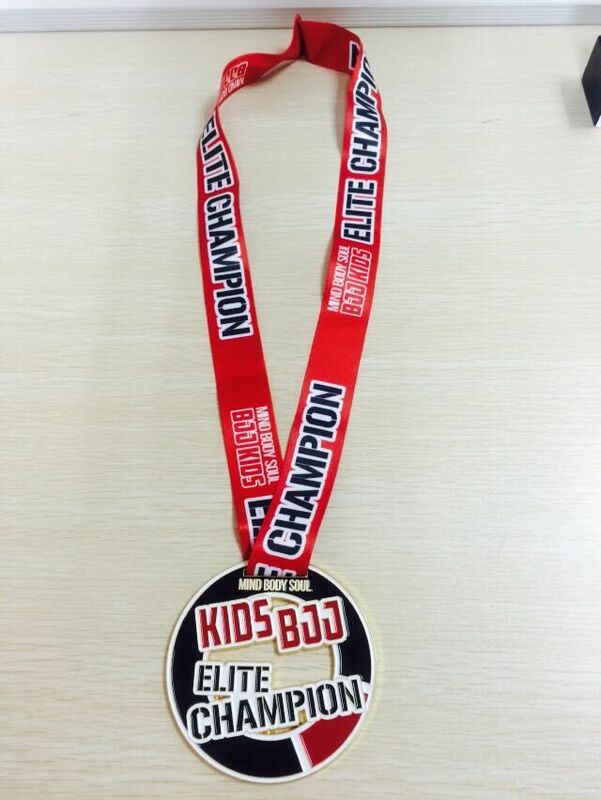 We even have a special medal for the Champion of each Elite Gi and No Gi division. Children 10/11, 12/13, 14-16: Separated by Rank. White and Grey in one division, Yellow and up in another. Again, separating experience to keep divisions safe and fair. Womens Divisions: This isn’t new by any means but we want to remind the women to come out and compete. We had almost 30 last year! We were able to split by weight and experience. Don’t sit home, don’t come and watch, get on the mats and help keep the divisions fun and fair. Executive Divisions: We had this last year too but a lot of people told me afterward they didn’t know about it. We had just under 30 guys last year and split it by 35-40, 41 and up and by weight as well. This year we will split by experience as well. As always we have the regular kids and adult divisions for Gi and No Gi, Absolute divisions for each Gi Belt division (Ie White, Blue etc) and Muay Thai for kids and Adults as well. Please help spread the word. My goal is to have a tournament for everyone, the beginner and advanced alike that offers a challenge worthy of the medal they receive. This entry was posted in Uncategorized and tagged alberta bjj, alberta bjj tournament, BJJ competition in Edmonton, bjj tournaments in edmonton, childrens bjj tournament, Executive BJJ tournament, kids bjj tournament, m, Mind Body Soul, Mind Body Soul Tournament, women brazilian jiu jitsu competition. Bookmark the permalink.